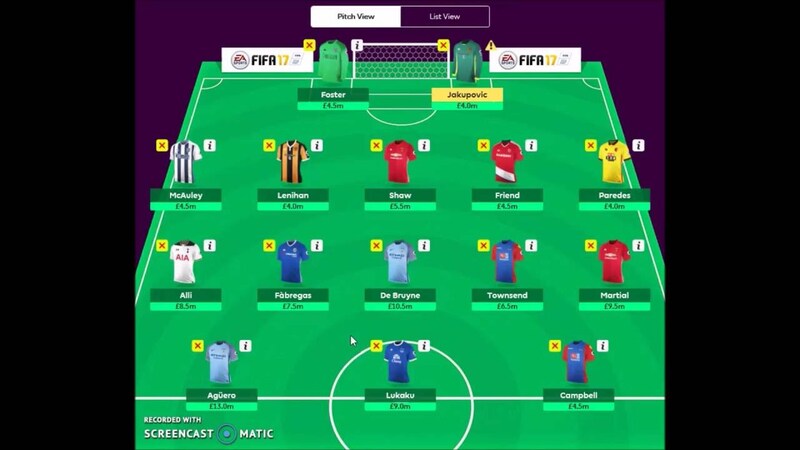 The new Premier League season started this weekend, and along with it the Fantasy Premier League that I take part in with friends. The Fantasy Premier League is a simple concept. You pick a team of fifteen players from across the twenty teams that actually play in the Premier League. Which means that I can end up with some players from Chelsea, some from Arsenal, some from Manchester City and so on. Given that each of the twenty teams has more than twenty players to choose from, there are millions of combinations possible. Without constraints, I could potentially pick the strongest players for each of the roles and maximize my chances of how many points I get. But there are constraints. Each player has an associated value and there is a cap on how much value I can spend. It is designed such that my budget is 100 bucks while getting the fifteen best players will cost me two hundred bucks. So, I have to manage to pick the best team with my constraints. Everyday, we are faced with a similar situation. We can spend the limited time and energy that we have on doing very well in our jobs, spending quality time with our friends and family, exercising regularly and eating healthy, learning new skills and picking up interesting hobbies, going to events we like and traveling the world. When we think of balancing all of these out, we tend to think of it as making progress on each of them or dedicating time to each of these areas every day. In the Fantasy Premier League, that would be like picking a fairly balanced team at the start of the season and sticking with it for the rest of the season. Instead, what works is to take each week as it comes. Some weeks, there are games that are favourable to attacking players while other weeks are favourable to defending players and goalkeepers. Which means I can change the focus and emphasis each week and beef up the part of the team that has a more favourable setting. The balance is only essential eventually. It is alright to not make any progress on some areas of our lives during some months or years while we are focusing on other areas because it is more favourable to do so. The balance isn't a daily thing, but something that we have achieved when looking back to where we were and where we are now.